All the Colors. See the Colors. Feel the Colors… on a kaleidoscopic audiovisual voyage with Beck as your guide. Available exclusively at apple.co/ColorsMusicVideo, “Colors” is the dazzling new video directed by Edgar Wright (Baby Driver, The Cornetto Trilogy, Scott Pilgrim vs. The World), that brings the title track of Beck’s current album to vivid multi-hued life, aided and abetted by kinetic choreography by Ryan Heffington. 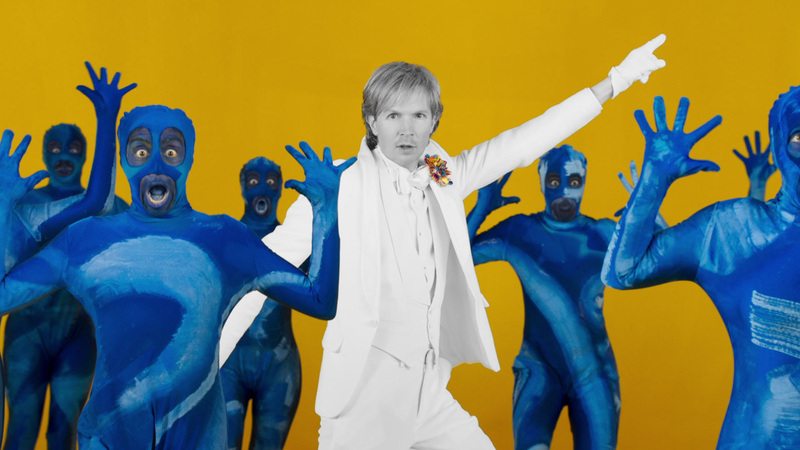 Beck and Wright’s collaboration on the “Colors” video has resulted in something completely alien yet strangely familiar, as if an extraterrestrial culture had accidentally intercepted a transmission of a Busby Berkeley film—and chosen to create their own sequel. “Colors” is directed by Edgar Wright and choreographed by Ryan Heffington. The video was produced by Bridgitte Pugh and executive produced by Nina Soriano for Anonymous Content.